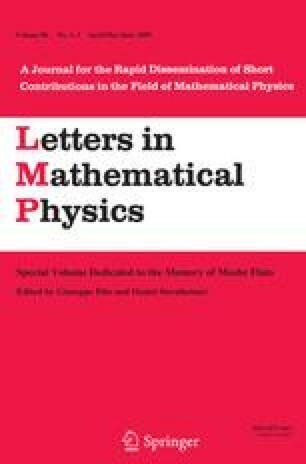 We present an independent short proof of the recently established result that the algebra of endomorphisms of a Weyl module of critical level is isomorphic to the algebra of functions on the space of monodromy-free opers on the disc with regular singularity and residue determined by the highest weight of the Weyl module. We derive this from our results about the shift of argument subalgebras. B. Feigin was supported by the grants RFBR 08-01-00720, RFBR 05-01-02934 and NSh-6358.2006.2. E. Frenkel was supported by DARPA and AFOSR through the grant FA9550-07-1-0543. L. Rybnikov was supported by RFBR 05-01-02805-CNRSL-a, RFBR 07-01-92214-CNRSL-a, NSF grant DMS-0635607 and Deligne 2004 Balzan prize in mathematics. L. Rybnikov gratefully acknowledges the Institute for Advanced Study for providing warm hospitality and excellent working conditions. We thank D. Gaitsgory for useful comments on the draft of this paper.